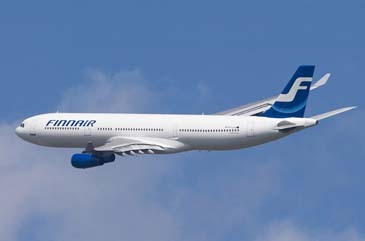 Finnair is launching direct flights to the capital of South Korea, Seoul, in June 2008 with five weekly frequencies.The flights will be operated with Finnair's new Airbus A340-300 long-haul aircraft. The majority of passengers are expected to be South Korean, especially during the summer season. The Seoul route will complement Finnair's constantly growing Asian network and support Helsinki's status as an important transfer point between Europe and Asia. Seoul will be Finnair's eleventh Asian destination. Finnair will be the only airline to fly non-stop from South Korea to northern Europe. In addition Finnair will offer excellent connections from Helsinki to over 40 European cities. "This is a natural continuation of our Asian strategy. Thanks to Finnair's growing European network we can offer the shortest and quickest connections to most European capitals," states Deputy CEO Henrik Arle. The expansion of the Asian network is possible because of Finnair's long-haul fleet renewal and increase. The new aircraft will help Finnair benefit from traffic growth and further develop its Asian route capacity. The A340-300 aircraft that arrived this year will be supplemented by two further aircraft of the same type next year. South Korea has a population of 49 million and a fast growing economy. The country is the tenth largest economic area in the world. The capital Seoul has ten million inhabitants. Its modern Incheon International Airport is one of the largest Asian air traffic hubs. Demand for air travel between South Korea and Europe is growing every year. Korea offers a great deal of potential for leisure travel from Asian to Europe and Korea itself is enjoying increasing popularity as a tourist destination among Europeans. A great deal of business travel from South Korean export companies is also expected on the route. The flight time from Helsinki to Seoul is 8 hours and 55 minutes. From Seoul to Helsinki it is 9 hours and 50 minutes. The above article is from Boarding.